Interests:I dig Mustangs & Shelby's. Shelby Never offered them with CSM, Any you see was a skunks works effort years ago! I thought I saw those available in one of the shelby's catalog around 8 years ago? Those sure are sharp looking! I remember when those were available, I almost bought them, but I already have Ford Blue ones that I love, I think mine are Ford Racing brand. Found this one the other day. Prototypes Shelby did a while back, any chance of getting a production run of the Shelby GT or Shelby GT/SC made? Why I certainly can't speak for SPP I would say the odds are not very good for that to happen. Would anyone be interested in approaching SPP for a group buy on these valve covers. I just saw the one ebay listing for the NOS part at $360. These were originally $294. Maybe if we get enough people we can convince SPP to produce them. 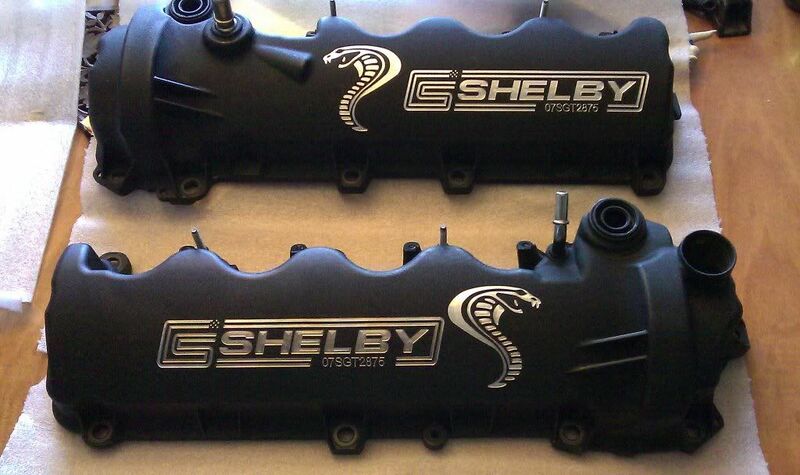 These are just powdercoated original mustang valve covers that are laser etched, it should not be difficult to produce. Let me know if anyone would be interested. Interests:SAAC-MCR Events, car shows, and life on island of St. Thomas in the Virgin Islands. Could get interested! First time back in the site in at least 3 years. Interested in doing something to my car for my typical Dream Cruise visit in August. Getting stripes painted is currently highest on my bucket list. The PIC of the blue covers are a set that were part of the skunks works effort done by some of us. The pic posted witht he 4 options were the original choices to review back then (in fact zoom in and you'll see the CSM# 2875 from my car). So glad I was able to pull this off back then as they still look GREAT on my car!